ATJ's Home Improvement | News and Alerts | Winterizing? Make Sure You Don’t Trap Mold Inside! Winterizing? Make Sure You Don’t Trap Mold Inside! Fall in Chicago brings lower temperatures. Subsequently, cooler weather means closed windows and vents. Homeowners are starting to winterize their homes, making sure as little heat as possible escapes outside. Feeling cold and wasting energy is no fun, but keep in mind that early fall can bring more than falling leaves and sniffles. With autumn approaching, mold spores that have grown and prospered in the summer humidity are wafting along on the breeze, just waiting to be trapped inside your home. Your home is especially vulnerable in early fall (that time before you let go of summer memories and in addition to wearing a couple of layers of clothes decide to crank up your heat). Mold is further evidence that not everything that’s "natural" is good for us. In fact, common household molds can cause asthma, sneezing, runny nose, red eyes and skin rashes. Infants and the elderly are most at risk, because they often have weaker immune systems. The U.S. Environmental Protection Agency (EPA) has estimated that the air inside the average American home can be more than 100 times more polluted than the air outside. New homes usually have poorer air quality than older homes because they’re air-tight, so spores aren’t able to escape, providing a perfect breeding ground. Mold requires moisture to grow and with lower temperatures and more rain, fall is a perfect time to invite these nasty fungi into your home. Use air conditioners in the summer and dehumidifiers in the fall. Keep relative indoor humidity low, if possible below 60 percent. Humidity is measured most accurately with a moisture meter, a small instrument found at most hardware stores or online. Here’s a cool model that is a thermometer and moisture meter in one. Run the bathroom fan or open the window when showering and up to 10 minutes afterward. Use exhaust fans or open widows whenever cooking, running the dishwasher or even washing dishes. Clean and repair leaky roofs and gutters regularly. Point sprinklers away from the home and siding. Make sure landscapes slope away from your homes foundation so water doesn’t collect. Molds are microscopic organisms commonly found both indoors and outdoors. Molds, along with mushrooms and yeast, are known scientifically as fungi. Their purpose in nature is to break down dead material and recycle nutrients in the environment. For molds to grow and reproduce, they need a food source - any organic material, such as leaves, wood, paper, or dirt - and moisture. Since molds grow by "eating" the organic material, they gradually destroy whatever they are feeding on. Mold growth on surfaces can often be seen as a colored spot, frequently green, gray, brown, black or white. It commonly appears as a powdery, fuzzy, or hair-like material. Actively growing molds typically produce odors, sometimes described as earthy or moldy, or like mildew, old dirty socks, or ammonia. Molds release thousands of microscopic spores, which are lightweight, easily airborne and carried by air currents to surrounding areas. The spores must have both food and moisture to actually start growing, similar to plant seeds. Where does mold grow? Not surprisingly, it grows most readily in moist, dark places -- windowsills, closets, wall paper, flooring, in or around showers, dishwashers, washing machines, and even in the soil of potted plants. Mold can be caused by slow dripping pipes, condensation, standing water on or under carpets and floor boards, leaky dryer vents, broken shingles and wet insulation. 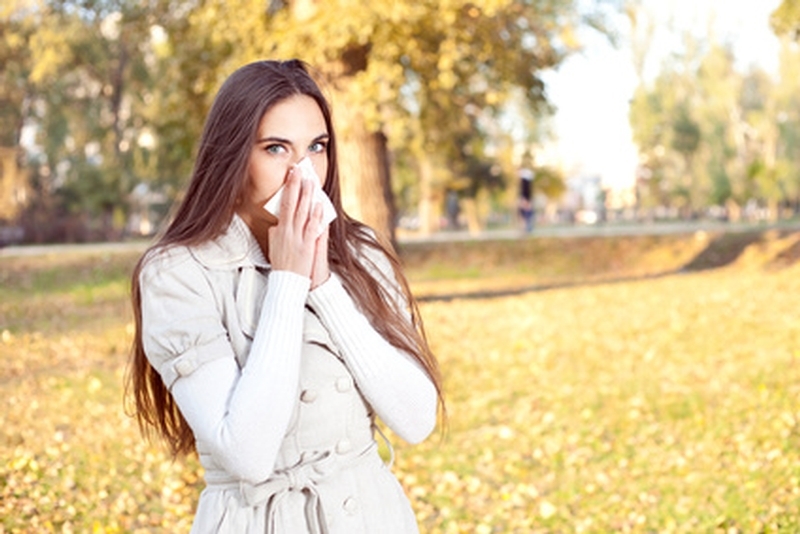 People who are sensitive to mold may experience stuffy nose, irritated eyes, wheezing, or skin irritation. People allergic to mold may have difficulty in breathing and shortness of breath. People with weakened immune systems and with chronic lung diseases, such as obstructive lung disease, may develop mold infections in their lungs, according to the U.S. Centers for Disease Control and Prevention (CDC).